Last Christmas Eve I started a new tradition, and gave each of my boys a special box. They contained a pair of Christmas pyjamas, a hot chocolate mix, popcorn, a copy of The Polar Express and a bell – just like the one in the movie. In my search for this year’s Christmas Eve box additions, I started looking at personalised bits and bobs, because my kids go ape for things with their names on them. It’s like the elves at Stuck on You knew exactly what I was searching for. I’m besotted with their knitted stockings and Santa Sacks – take a bow Stuck on You, I’m applauding! Stuck on You has been our go-to for labels and personalised products for kids for two decades now. The huge range includes iron on and stick on labels, lunchboxes, backpacks, stationery and party goods. 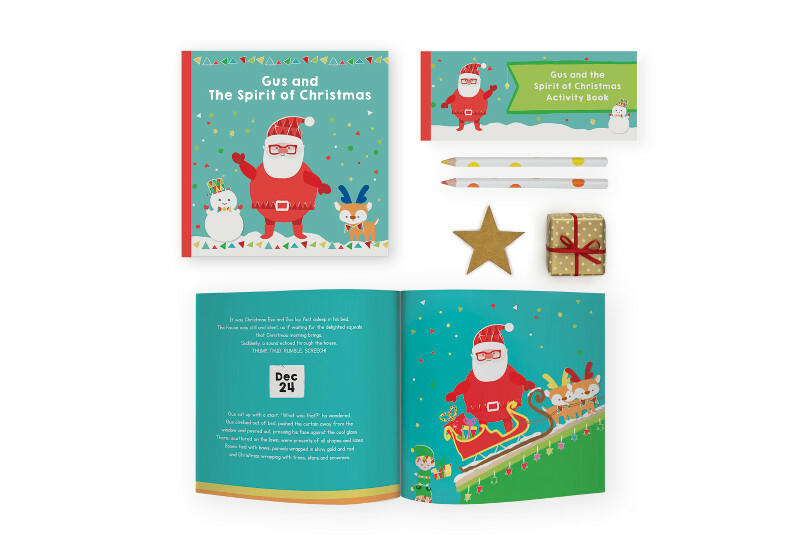 But they also have some fabulously festive products that can be personalised – and there’s still plenty of time to get your order in before Christmas. 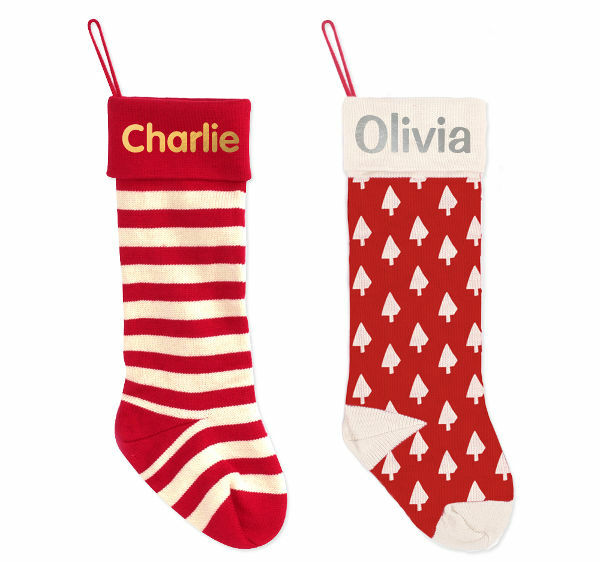 The Christmas Eve tradition of hanging the stockings with care is all the more special with Stuck on You’s personalised Foil Pressed Christmas Knit Stockings. They look adorable hanging on the mantle, or near the tree, and the kids will love peeking inside on Christmas morning to see what little treats they’re holding. They come in two designs and can be customised with a name pressed with delicate gold or silver foil – because we could always do with a little more bling at Christmas! I love the idea of popping a Christmas-themed storybook into my boys’ Christmas Eve boxes – what a great way to build the anticipation. Imagine their surprise when they find these Stuck on You Christmas Storybooks, personalised to include their names! There are three to choose from, and each comes with a personalised activity book too. 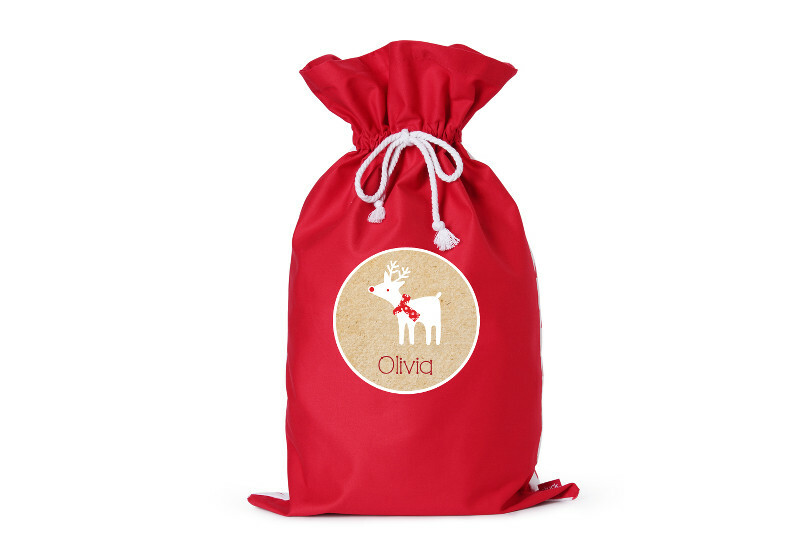 Santa Sacks are like the gift that keeps on giving (pardon the pun!). They’re the perfect vessel for presents delivered by Saint Nick – they look so gorgeous waiting under the tree on Christmas morning, adorned with each child’s name. Once emptied of their goodies, they can also be taken anywhere else you’re headed for the day – to help lug the kids’ Christmas loot home! The Stuck on You Personalised Santa Sacks are made from 100 per cent quality cotton canvas, and you can choose from two designs to decorate the back – the front will of course bear the name of the owner! 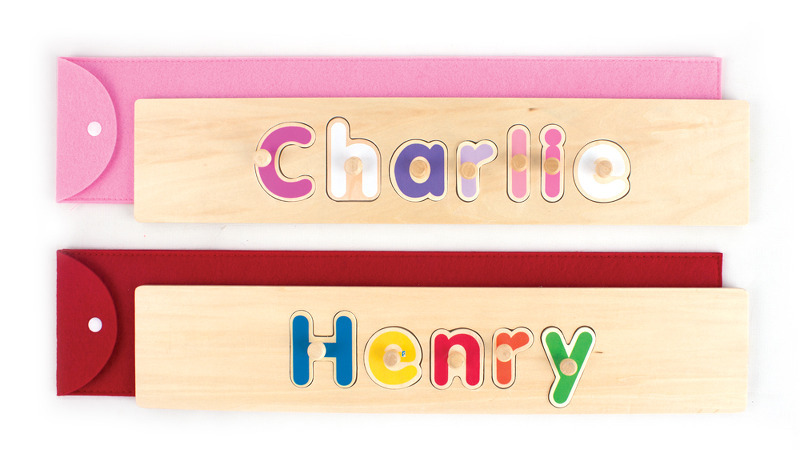 A Stuck on You Personalised Wooden Name Puzzle is a great gift for kids learning their names. Each letter fits into its own space, so it helps them learn the letters in their names, and the order they go in. They come in a handy felt cover, which can also be personalised for an extra cost. Starting Christmas traditions has never been so easy! You can browse the entire collection at Stuck on You. If you’re ordering presents for delivery in time for Christmas, you’ll need to get your orders in by Monday 15th December.